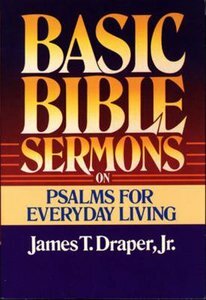 About "Basic Bible Sermons on Psalms For Everyday Living"
James T. Draper, Jr. served as president of LifeWay Christian Resources from 1991 until 2006 and is also a former president of the Southern Baptist Convention. His previous books include "Biblical Authority" and "Preaching with Passion". Dr. Draper and his wife, Carol Ann, now live in Colleyville, Texas.